At Origin, all our work is “public by default”. Our code is 100% open-source and the vast majority of our collaboration between our core and extended team members happens in our Discord group. There we discuss product and engineering decisions, share feedback on designs, ask for help on any challenges we run into, and engage in the same sort of office chatter that occurs in internal chat rooms at startups everywhere. The only difference is that our Discord group is open to the public and thousands of people have taken us up on our invitation for anyone to join and watch us as we work. Most companies, even most blockchain projects, don’t operate this publicly. We often get asked why we strive for so much transparency. Aren’t we scared that someone will steal our ideas? What if someone forks our code? We always tell people that if you want to fork Origin, you have to fork two things: our code and our community. Forking our code is easy. It takes a single click on Github. But forking a community of tens of thousands of people who share a similar vision for the future — that’s a far bigger challenge. We do our work in public because we’re on a mission to build something far bigger than ourselves. We want to create the sharing economy without intermediaries, not the sharing economy with Origin as the new intermediary. By being open-source, no one needs to trust us. Buyers and sellers can verify everything for themselves and transact directly via the blockchain without any trusted third-parties in-between. There is another significant advantage to working in public that is often overlooked. Open-sourcing our code and collaborating in public makes it way easier for outsiders to see what we’re working on, identify areas where we could use some help, and start contributing without having to go through a formal interview process. Instead, job applicants can get our attention by engaging and contributing to our project. It’s a far better experience for everyone, and it sure beats being asked to code up a LinkedList on a whiteboard! 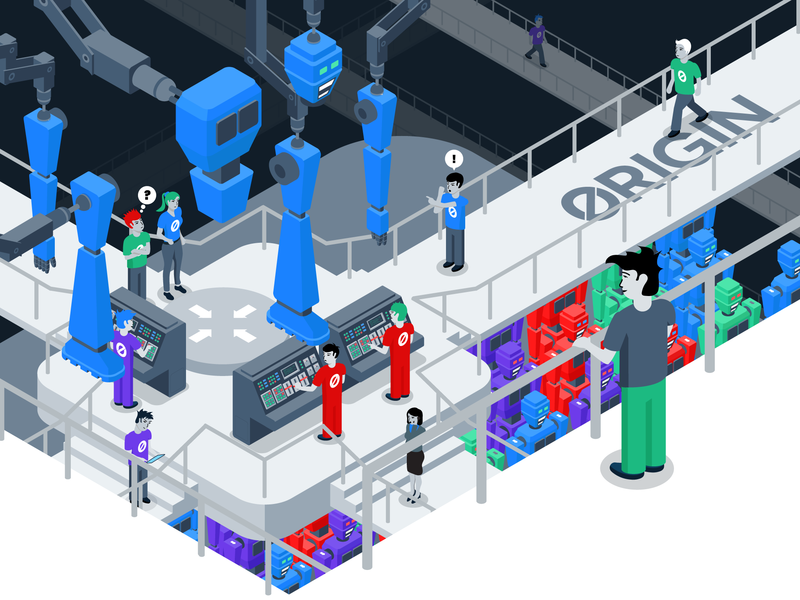 One great example of how this hiring process has worked extremely well at Origin can be demonstrated by our latest addition to the team. Tyler Yasaka, a Bitcoin enthusiast since 2012, graduated top of his class in Computer Science from the University of North Alabama. After graduation, he worked at a traditional two-sided marketplace startup, PartCycle, and was exposed to the business and operational models of centralized marketplaces. As his interest in blockchain, game theory, and cryptoeconomic incentive systems burgeoned, Tyler fortuitously discovered our project in January when he attended ETHDenver. Interested in the promise of decentralized marketplaces, Tyler reached out to our lead blockchain engineer, Stan James. Stan, being the awesome guy that he is, offered Tyler a place to crash while he was in town. Tyler started volunteering his time and efforts into Origin, reporting issues on Github and contributing to our codebase, all the while traveling across multiple cities in the US. We were quickly impressed by the quality of his code contributions and his ability to communicate with the rest of our team despite being a remote engineer. We asked if we could get more of his time, and he soon became a paid contributor. It’s important to note that had we not been an open-source project, we would have never discovered Tyler and his exceptional talents. Fast forward to day, and Tyler has become an essential part of our team here at Origin. Tyler is one of our all-time top contributors to our codebase and has earned the respect of our entire team. 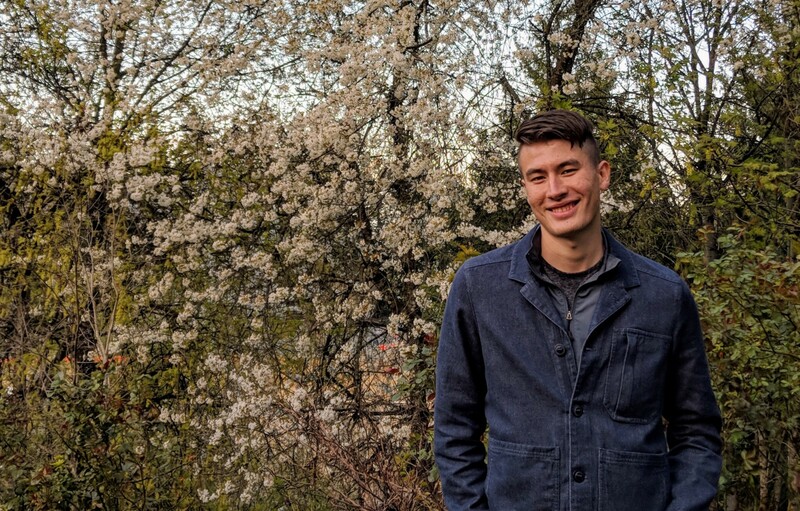 We’re thrilled to announce that Tyler has agreed to come on as a full time employee as he continues to help build the Origin platform. Please join us in welcoming Tyler to the team! If you’re interested in getting more involved in our project, either as a part-time contributor or prospective full-time candidate, please find us on Github or Discord.